ORLANDO, Fla. (Oct, 2012) – With his ashes in tow, three Chicago golfing buddies take a journey of self-discovery to the Arctic Circle to play one last round of golf in honor of their deceased friend in a new, six-part Golf Channel series titled Our Longest Drive, premiering Tuesday, Oct. 16 at 10:30 p.m. ET. Filmed along a journey of more than 5,500 miles in an RV – traversing seven U.S. states, two Canadian provinces and two Canadian territories – Our Longest Drive follows Vic, Dan, Jim and Mike (whose ashes are along for the ride in a cherry wood box) on an adventure of a lifetime. All past retirement age, each with health issues and no previous experience traveling in an RV, it becomes apparent that these men are not ideally suited for the trek ahead. In fact, not 45 minutes into their trip, Vic needs a bathroom break and refuses to use the RV’s toilet. Nonetheless, each man shares a love of golf and for each other, and embraces a common goal to honor Mike with this journey. Vic Zast is the ringleader of their small group, who has played golf together for more than 20 years at Westmoreland Country Club in Wilmette, Ill. Vic is an entrepreneur who is accustomed to fancy living and it’s no secret that he loves the attention – he spikes his hair with mousse and downs a tray full of heart medications with a beer chaser. He calls golf an “intoxication” and pitched the trip to his friends so they could honor Mike and play golf with him one more time. “It was much more than just a trip or an adventure. It was a way for us to connect with the game we love and with each other,” Vic said. Jim and Dan thought Vic had a screw loose. “The guy can’t change a light bulb, and yet he wants to drive fifty-five-hundred miles to the Arctic Circle,” Dan said. Dan Johnson is the worry-wart who obsesses over every detail, especially safety. When the group reaches the Arctic Circle and decides to have a cookout, Dan inexplicably worries about starting a forest fire in the treeless, barren tundra surrounding them. From the very start, his preoccupation is a fear of everything. Jim Thompson is the introvert. An ex-ad man and diplomat to the core, Jim initially questions Vic about the purpose of the trip but, ultimately, discovers that purpose takes on many forms. He faces his own personal challenges along the way and, with the help of his friends, comes to grips with one of his biggest fears. “It’s not exactly your all-adventure team going to the Arctic Circle, but there we were anyway,” said Jim. Viewers also learn about Mike Allen – the “dead guy” as they call him – as friends and relatives share remembrances about the way Mike lived his life and how he failed to cope with divorce, depression and diabetes. According to Vic, all Mike had left before he died were his friends and Saturday morning golf. The wooden box that contains his ashes – which is seen in nearly every scene – seems to become another character in the series. Our Longest Drive joins Big Break Greenbrier (9 p.m. ET) and Chasing the Dream (10 p.m. 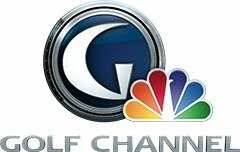 ET), bolstering Golf Channel’s Tuesday primetime lineup of original series this fall.